Before you join that crowd, consider this. The Super Bowl itself is not the investment. If landing the Super Bowl were simply about this singular event, no one would want it. Individual vendors may make a lot of money, but cities generally don’t–at least not on that glorious week leading up to the big game. The president of the Indianapolis Capital Improvement Board shares my view. “If you think about it, to spend a million dollars for the branding and the effort that is generating for us is a pretty good return on investment,” said Ann Lathrop in a recent interview. Amen, sister. Sure, there has to be a payback, but companies consider the effects over months and years, not days weeks. In that sense, the Super Bowl simply marks the campaign’s kick-off, not the final whistle. Over 111 million–MILLION–people watched the big game on TV, representing 47% of American households. All the major and many of the minor networks offered coverage of the city’s pre-game festivities for the week preceding the game. Celebrities and tourists flooded the city. Press coverage and individual commentary was overwhelmingly positive. One of the country’s littlest big cities has earned future consideration from a wide audience. 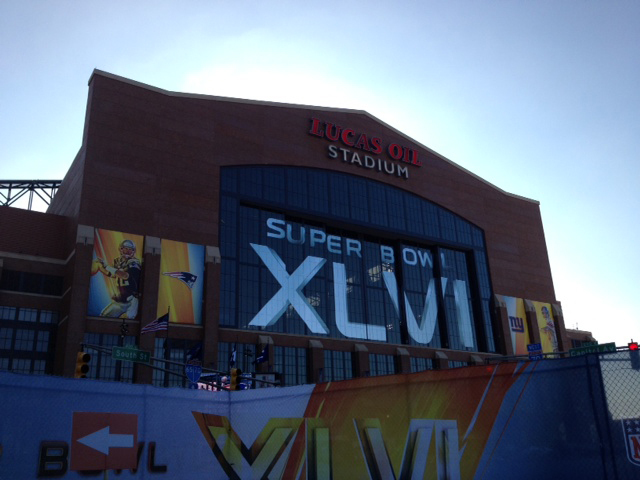 Indianapolis will reap rewards from Super Bowl XLVI, but the game is still going on. OK Indianapolis has repeatedly put on that big bash to the west, well, technically Speedway, called the Indianapolis 500, and more recently the Brickyard 400 for that cash monster NASCAR, and the Red Bull Indy Grand Prix for the motorcycle set. Now HOW can THOSE events, put on every year, with multiple days of practice, qualifying, and the races themselves, not cause the city to lose money too?? Why pinpoint just a Super Bowl when ANY major event causes ANY city to blow their wallet out the window to LAND such an event. Look beyond the gridiron; it’s the same in any sport.